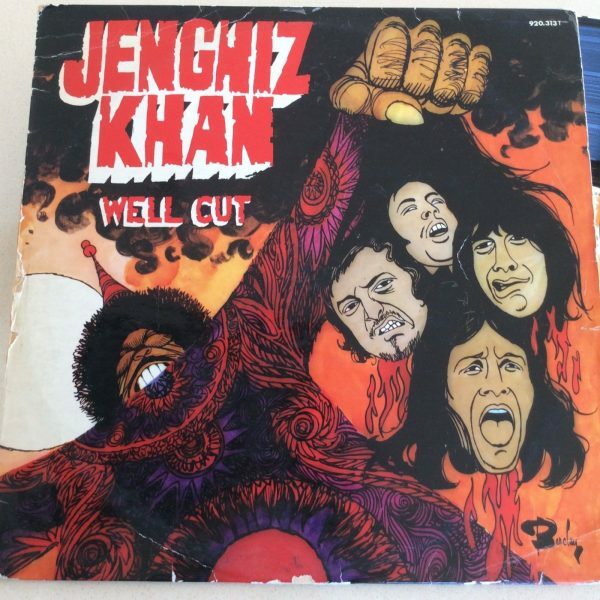 JENGHIZ KHAN “Well Cut” original! Categories: HARD ROCK, MONSTERS FROM THE VOID, Progressive, Psychedelic, Psychedelic, Rock, Vinyl. I spent some of my teen years living in Belgium and walked away with a deep affection for Benelux-based bands. Though not well known outside of collector circles where this is a sought after rarity, Jenghiz Khan’s “Well Cut” remains one of the treasures in my collection. Formed in Brussels in 1970, the Jenghiz Khan line up consisted of keyboardist Tim Brean (former front man of The Tim Brean Group), guitarist Big Friswa, former Tenderfood Kids and Laurélie singer/bassist Pierre Raepsaet, and drummer Chris Tick. With support from Belgian music journalist/manager Pierre “Piero” Kenroll the group was signed by the French Barclay label. 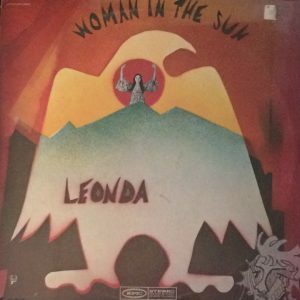 Released later in the year their debut LP teamed them with producer Eric Vion (who had previously played with Raepsaet in Tenderfood Kids). First let me warn you that big ticket dealer descriptions labeling this a ‘psych masterpiece’ aren’t even close to the mark. In fact the band occasionally recalled a second rate Ten Years After (‘Campus B’), or a more talented, but less pretentious Uriah Heep. The eight songs were actually collaborations with Kenroll (credited as “Piero”) providing the lyrics and Brean and Friswa respectively turning in the music. Tracks like the lead off number ‘Pain’, ‘Hard Working Man’ and ‘Mad Lover’ were actually conventional guitar and keyboard propelled hard rock, though there were occasionally nods to a more progressive sound (‘Trip To Paradise’). Still anyone looking to hear something totally unique was liable to have come away disappointed, though there was something quite endearing in Pierre Raepsaet’s heavily accented Paul Rodgers-inspired vocals and the band’s clear enthusiasm for the genre. Kicked along by Brean’s keyboards and Friswa’s buzz saw guitar, material like the bluesy ‘Campus A’ and ‘Trip To Paradise’ was every bit as good as material being churned out by their UK and US competitors. By the way, credited to Jamic and manager Kenroll the cover wasn’t something for the squeamish. Though the group apparently recorded some material for a planned second release, they subsequently called it quits. Raepsaet enjoyed a solo career including representing Belgium in the 1976 Eurovision song contest with ‘Judy et Cie’. Only 56, he died of cancer in April 2002.